August is starting to wind down, which means that the fall semester will be starting soon for those starting or going back to college. If you’re packing up to live at college for the first time, then you might want to really look at what you’re bringing before you pile it all into your dorm/apartment. As I enter my third year of college (University of Maryland College Park represent! ), I feel like I have some knowledge about what to bring and what not to bring when you move on campus, especially when it comes to living in the dorms. But if you’ll be living off campus at your university, I have some tips for you as well! An interview outfit: Something business professional you can wear either to an actual interview, or to a career fair on campus. 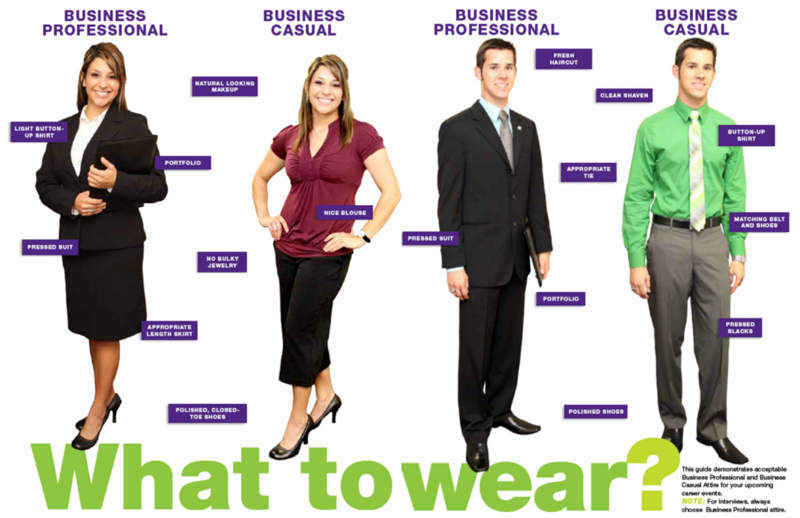 Here is a good example of what business professional versus business casual will look like. Although business casual will be okay for interviews and career fairs, going the extra step will better distinguish you from the rest. A bathroom scale: Being away from home, eating off a meal plan, and going out more often than you did at home can catch up to you. The freshmen fifteen is real, and even if you wander over to the college gym a couple times, you can’t outrun a bad diet. A scale will help keep you accountable. At least two pairs of comfortable walking shoes: If your college campus is anything like mine, you will be doing a lot of walking, and odds are, your current walking shoes won’t last long when using them everyday. Having two or more pairs will keep them all lasting longer and looking better over time. Paper plates: If you’re in a dorm, paper plates and bowls are ideal because you don’t really have a place to clean actual dishes between uses. If you are living in a suite or apartment, there will come days when you are feeling really lazy or have way more people over than clean plates available. Paper plates will be your temporary life saver. Bleach wipes: Things will get spilled. Bleach wipes are a great way to clean up sticky messes and can be used on many different kinds of surfaces. I’m sure these items have been listed in other “back to school” guides, but these are a lot more important than many people realize. But there are also certain things you shouldn’t waste space in your bags by bringing. A toolkit: Unless you are building computers or have a hobby that directly involves using tools on a regular basis, you won’t end up using it. If you’re living in a dorm and something breaks in your room, trying to fix it yourself could end up costing you more in the long run. Clothes for another season: Research the weather for wherever you’ll be going to school, and bring clothes appropriate for the temperatures. Bringing coats when it doesn’t get too cold will only be a problem when you have to pack it back up and bring it home. Computer lock: Odds are, you’ll have your laptop on your person at all times. And if not on your person, locked in your dorm or apartment. Trophies or similar memorabilia: I’ve seen dorms filled with old high school trophies, and when space is limited and precious, filling it up with stuff that won’t actually do anything for you is just a waste. Keep that stuff at home. Important paperwork: Odds are, you aren’t going to need your birth certificate or social security card very often, and if something were to happen to those papers, it would be a major pain to replace them. Leave them at home where they are safer. Hopefully this will help in the packing process! To learn more about school, especially in the DC Metropolitan area, remember to follow the blog, check out our website, and like us on Facebook! This entry was posted in Life Advice and tagged college, college advice, college living on August 19, 2014 by discoverdmv.